Continuous Certification Listening Sessions – Thank You! In July, the ABS welcomed Dr. Spence Taylor as the 2018–2019 chair. 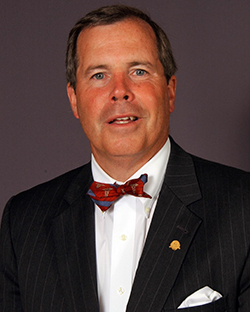 Dr. Taylor is president of the Greenville Health System (GHS), chair of the Board of Managers for the GHS Health Sciences Center, and professor of surgery for University of South Carolina School of Medicine Greenville. Outside of the ABS, Dr. Taylor is president of the Greenville Health System (GHS), chair of the Board of Managers for the GHS Health Sciences Center, and professor of surgery for University of South Carolina School of Medicine Greenville. As autumn progresses, I wanted to extend my best wishes on behalf of the ABS to all diplomates and to highlight some of the progress that the Board has made over the past several months, most of which is detailed in this newsletter. First, I wish to express my thanks to all of you for the opportunity to serve as chair of the Board, an honor that truly represents the pinnacle of my professional career. The ABS continues to be comprised of committed individuals who personify our mission to serve the public and our specialty by providing leadership in education and practice, by promoting excellence through rigorous evaluation and examination and by promoting standards for professionalism. Many thanks go out to my colleagues for their time and dedicated service. Autumn is also our season for written examinations at the Board. I am pleased to report that Qualifying Examinations are on track and that a new chapter in maintenance of certification has commenced. Hearing the concerns of our diplomates, the Board successfully launched our new Continuous Certification Assessment this fall for general surgery—a 40-item, open-book examination process taken at home with practice-related modules and immediate feedback. The process is designed to enhance knowledge of latest surgical principles and practices, not to encumber diplomates with a high-stakes testing ordeal of indeterminate value. 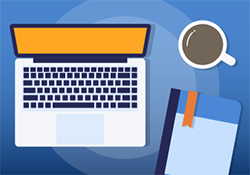 In fact, our Continuous Certification Assessment will replace the high-stakes 10-year examination process when diplomates approach their respective certificate expiration dates. That said, diplomates are not required to wait until their certificates expire to enroll. There were over 2,000 diplomates who registered for the new assessment this year, including current directors. Feedback has been overwhelmingly positive to date. I personally found the experience to be educational, rewarding, enjoyable and far superior to the 10-year exam. Component boards that include the Vascular Surgery Board, Pediatric Surgery Board and Trauma, Burns and Surgical Critical Care Board are enthusiastically preparing similar Continuous Certification processes for their certificate holders. Lastly, the Board continues to benefit from the fresh new leadership of Dr. Jo Buyske as executive director. Under her leadership, the ABS staff is being appropriately sized and inclusively aligned with the needs of the American "house of surgery." To that end, the Board is placing the finishing touches on an aggressive strategic plan capable of addressing issues facing all surgical diplomates—issues such as documenting the value of Board certification on surgical practice outcomes, Focused Practice Designation, and enhanced external communication. The goal for our Board meetings in January and June is to formalize and implement Board governance structure capable of effectively implementing our strategic plan. In closing, I would like to thank all of our diplomates for their dedicated service in caring for patients with surgical diseases. It is this dedication that makes all the difference. I wish everyone a safe and enjoyable time as the holiday season approaches. The 2018 General Surgery Continuous Certification Assessment was a bigger success than we had even imagined, thanks in large part to the diplomates who entered the new Continuous Certification Program this year, but also thanks to the committee tasked with development of the new program and accompanying assessment. Of the 2,164 examinees who completed this year's assessment, 2,143 passed—over a 99% pass rate! All examinees were required to complete a 20-question Core Surgery module, but were able to choose an additional 20-question module from four options. Abdomen and its Contents was our most popular module option with 743 diplomates electing to complete it. There were 544 diplomates who chose the Comprehensive General Surgery module, 521 who chose the Alimentary Tract module and 356 who chose the Breast module. "A positive learning experience. Some notable points. 1. I was able to take the test while on call. 2. The 40 test questions (20 core general surgery, 20 breast) were fair and very current. 3. It was easy to sign in an take the test. A quick video explains the process. 4. The test took me 4 hours to complete. I am a slow test taker and looked up information ("open book") while taking the test and studied the answer explanations, which were excellent. Immediate feedback was appreciated. Once you sign in you have two weeks to complete the test. 5. I learned pertinent information from this process which I can use in my practice. Thanks ABS for a job very well done. 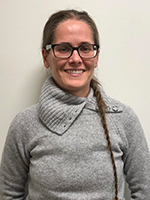 Special shout-out to our Continuous Certification Coordinator—Marie—who serves as our designated representative for the Continuous Certification Program and Assessments. In the past few months, she has fielded thousands of phone calls and emails from diplomates who had questions regarding the registration process, what documents and materials were required of them, and how to launch the assessment. We surely would not have been able to get through this year without her! Marie is available during normal business hours, 8:30 a.m.—4:30 p.m. Monday through Friday, by phone or by email. If you have questions for her, please call the ABS office at 215-568-4000 or email her at cc@absurgery.org. Similar 40-question, at-home, lower-stakes assessments are currently in development for vascular surgery, pediatric surgery and surgical critical care for diplomates with certificates that are expiring in 2019 or later. These assessments will be available in 2019, along with the general surgery assessment. To stay up to date on all things Continuous Certification-related, be sure to follow ABS on Twitter, and like us on Facebook and LinkedIn. We share all new information about the Continuous Certification Program as soon as it is available on all three of our social media channels as well as in the news area of our website, so check back frequently! Most importantly, make sure your contact information is up-to-date. As we move further into the digital age, more and more of our communications are moving to email instead of hard-copy mail. 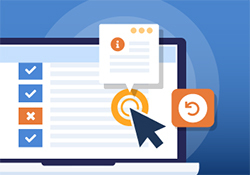 We must have your current email address on file at all times to alert you of important factors that can affect your certification status, such as when you must update your CME, when you should request new references and when you need to take an assessment. Click here to log in to your portal and make sure we can reach you. Continuous Certification Listening Sessions—Thank You! We would like to extend a huge thank you to the randomly selected diplomates who participated in our Continuous Certification virtual listening sessions in September and October. Following the survey that was sent out in June 2018, 2,499 diplomates expressed interest in participate in a listening session with ABS Executive Director Dr. Jo Buyske to voice their concerns and better understand the new program. Of that interested group, 200 diplomates were randomly selected and invited to participate in one of the two sessions. It was very informative for us to hear your concerns, and the insight and ideas that we received will be extremely helpful as we further develop the Continuous Certification Program. Thank you to all who self-nominated or nominated a colleague for the open ABS at-large director positions. We received applications from many extremely qualified surgeons, and are now in the final round of evaluations to select the surgeons who will join the ABS Board of Directors. The American Board of Surgery introduced time-limited certification in 1976, requiring diplomates who were initially certified to subsequently pass a secure, multiple-choice, comprehensive recertification examination in surgery every ten years as demonstration that they remain current with advancements in surgical knowledge. 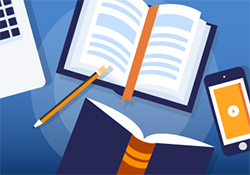 Critics argue that maintaining certification is burdensome and that there is no evidence that it is associated with improved outcomes. 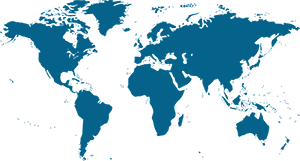 Did you know that the ABS works with international programs in addition to U.S.- and Canada-based programs? We are proud to have a collaborative relationship for curriculum development with countries such as Singapore and the Netherlands. In Singapore, there are four programs under the Academy of Medicine who use the ABS In-Training Examination (ABSITE®). Within these programs, about 120 residents took the exam in 2018. In the Netherlands, over 450 residents from about 50 programs took the 2018 ABSITE®. From this country, there are a handful of medical professionals who take it upon themselves to write a portion of the exam questions in their native language, Dutch. 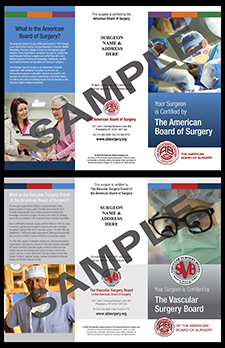 The ABS provides customized brochures for board certified surgeons to display in their offices. These brochures let your patients know that you are board certified and have met a certain set of standards for surgical care. They include information about the ABS, what is means to be board certified, and what requirements you have met to become certified. At this time, brochures are available for both general surgery and vascular surgery diplomates. Contact us to request a PDF version of your personalized brochure. Please include in your email which brochure you are requesting and what contact information you would like included on the back panel. Please join us in welcoming two new additions to the ABS office staff, Ms. Abby Pozefsky and Ms. Bea Ibanez-Moreno. Abby joins the organization assuming the dual roles of ABS general counsel and chief administrative officer. A licensed practicing attorney for over 40 years, she has worked in various capacities in Philadelphia government since 1986 including Philadelphia Water Department General Counsel, Philadelphia Airport General Counsel, Chief Deputy of Regulatory Affairs for the Philadelphia Law Department, General Counsel and Chief Administrative Officer for Philadelphia Gas Works, Board Secretary for the Philadelphia Facilities Management Corporation and transformation consultant for the Philadelphia School District Legal Department. 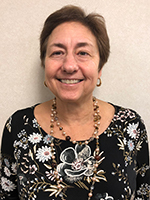 In addition to her roles at ABS, she currently serves on the Philadelphia Water, Sewer and Storm Water Rate Board. Bea has bachelor's and master's degrees in Environmental Engineering, and a Ph.D. in Forest Ecology. Between graduate degrees, she worked as a Research Project Manager at a state environmental agency in Spain. Following this, Bea dedicated the next five years to her doctorate, and during this time she realized that she loved data analytics as much as she loved plants. After graduating and moving to the U.S. four years ago, she followed this passion and pursued a career as a Data Analyst. Bea's first stop was at the National Board of Medical Examiners where she was first introduced to the Psychometric field, and she now joins the ABS as a Psychometric Data Analyst. Dr. Dan K. Morhaim, a Maryland state legislator and a board member of the National Board of Physicians and Surgeons, requested input from the Antitrust Division of U.S. Department of Justice (DOJ) on a bill in the Maryland legislature that could restrict hospitals, health plans, and others from making their own independent judgments about the value of board certification in the credentialing of physicians. Dr. Morhaim objects to the Maintenance of Certification (MOC) program of physician certifying Boards that are members of the American Board of Medical Specialties (ABMS). On September 10, 2018, the DOJ responded by letter to Dr. Morhaim's request, encouraging the Maryland legislature "to continue allowing hospitals and insurers independently to decide whether to consider a physician's MOC status when making business decisions, such as granting hospital privileges. The DOJ concludes their letter by saying that enactment of the Maryland bill could "harm, not improve, the competitive landscape of healthcare in Maryland. Click here to read the full ABMS statement on the U.S. DOJ response to this proposed Maryland legislation. On Nov. 7, 2018, the Maryland Health Care Commission's MOC Work Group issued a final report in which they declined to recommend legislative action on MOC. This work group was assembled in June to study issues related to MOC with regard to payer and hospital credentialing requirements, and ABMS is encouraged by the overall findings of the group.